Here's an elegant Hawaiian Chicken Recipe for your next gathering. 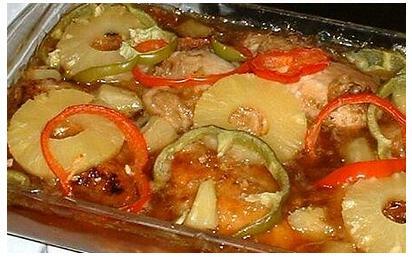 Make Hawaiian Chicken Recipe Marinade: In a bowl, combine the pineapple juice, the Worcestershire sauce, the soy sauce, and the brown sugar. Blend well. Poke the chicken breasts all over with a fork, to let the flavor from the marinade seep into the meat. Put the chicken pieces in a bowl with the marinade, making sure all the pieces are well coated. Add more pineapple juice if necessary, to cover the chicken completely. Cover the bowl with plastic wrap, and refrigerate for 12 to 24 hours. When ready to cook, discard marinade and grill or broil the chicken until cooked through. During the last five minutes of cook time, add some red and green bell pepper slices. In a medium size bowl, combine the beaten egg, the bread crumbs, the water chestnuts, and the ginger, as well as the salt and pepper. Add the ground chicken and mix well. Shape the mixture into four patties, 3/4-inch-thick. To grill, place the patties on an uncovered grill directly over medium coals; cook for 15 to 20 minutes, turning once. Brush with sweet-and-sour sauce during the last 5 minutes of cooking. Place the pineapple slices on the grill rack. Cook for 5 minutes, turning as needed. To serve the burgers, sprinkle the bottom half of each bun with lettuce or spinach leaves. Place the patties on top. Brush the patties with sweet and sour sauce. 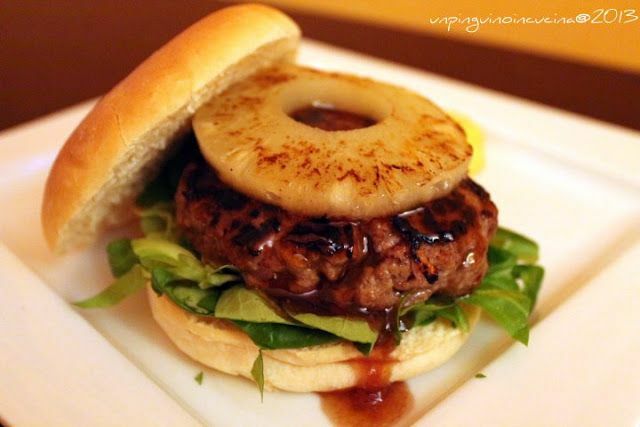 Top each burger with a pineapple slice.